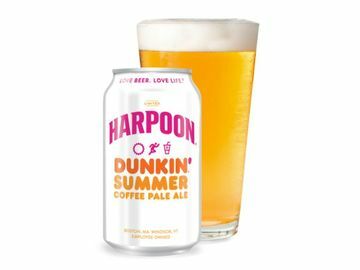 Two-thirds of adults agree they are looking forward to summer this year more than ever, according to a new independent survey commissioned by Dunkin’ Donuts. To help kick it off, we are giving you the chance to win $10,000 on June 21 so you can make the most of your summer! 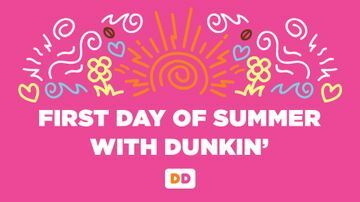 To celebrate the first day of summer, we’ve created a special summer-themed Snapchat Geofilter available for one day only at all Dunkin’ Donuts restaurants nationwide. 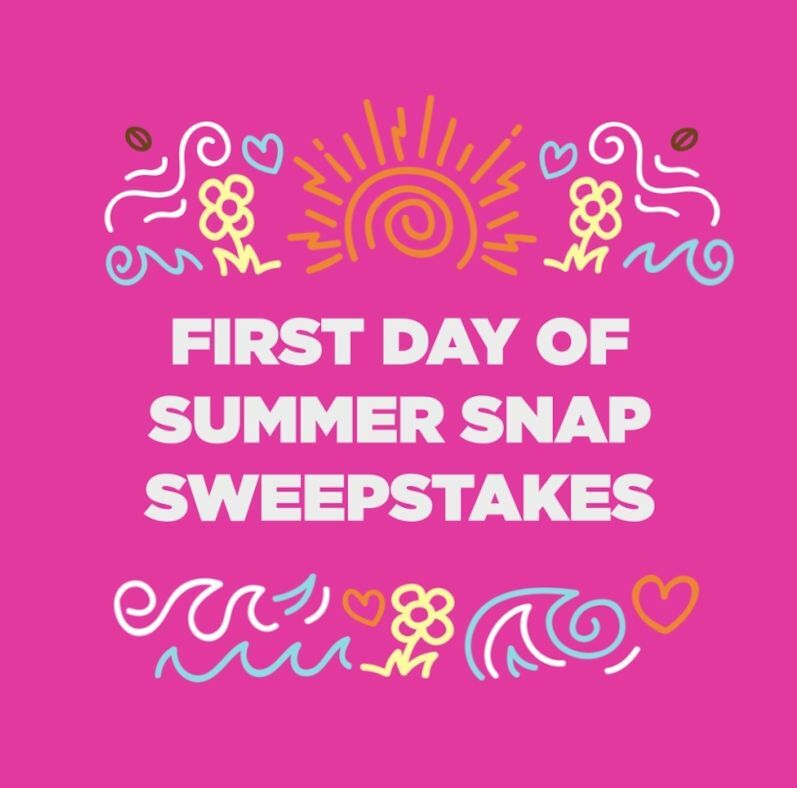 This Wednesday, June 21st, head to your local Dunkin’ and snap a picture of you celebrating the start of summer with our Geofilter and send it to us on Snapchat (DunkinDonuts). You’ll be entered for a chance to win $10,000 to make the most of your summer! Plus, six more lucky winners will receive a summer’s worth of free Dunkin’ coffee*. So, how do Americans make the most of summer? Here are some highlights from our recent survey! It looks like Millennials age 18-34 are looking forward to summer most this year, with 81% saying they need summer more this year than in previous years compared to 67% of all adults. Why are people so psyched for summer? Top reasons include lack of time to see friends and family this year, working harder this year than in past years, and poor weather this spring. For the Northeast, poor spring weather is a stronger factor, with 36% of adults in the Northeast saying they are looking forward to summer because of poor spring weather compared to 26% in the Midwest, 24% in the West and 19% in the South. What quintessential summer activities do Americans want to do most this season? Number one is a road trip with friends or family, with spending time at the beach or pool a close second, followed by summer barbecues or picnics. Rising temperatures can also equal rising FOMO, as 63% of 18-34 year olds claim their “Fear of Missing Out” increases during the summer, compared to 39% of 35-54 year olds and 17% of 55+ year olds. Nearly two-thirds of adults agree that a great cup of coffee makes their summer that much more enjoyable. 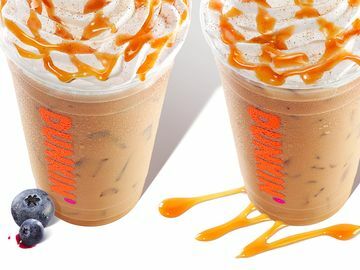 From S’mores Frozen Dunkin’ Coffee to Butter Pecan Iced Coffee to Coconut Crème Pie Cold Brew and more, you can stay energized all summer long with Dunkin’ coffee! Plus, summer vibes will be in full effect on our Instagram page on the first day of summer. To soak up the summer virtually, you can tune in to Instagram on June 21st, where we’ll be celebrating the longest day of the year with the brand’s longest Instagram story ever. 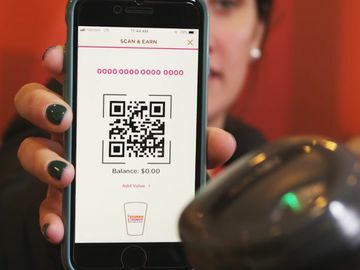 All day long, you can follow along to see the live adventures of a Dunkin’ Donuts coffee drinker. 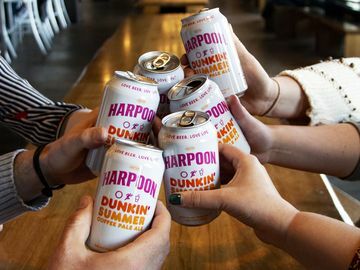 We’ll be making the most of the start of summer in the spirit of #SummerNotSorry with fun and visually-stimulating content, all fueled by Dunkin’ iced and frozen coffees. Are you excited for summer? Show us how you are making the most of the season with Dunkin’ coffee using #SummerNotSorry on Snapchat, Facebook, Twitter and Instagram! * NO PURCHASE OR PAYMENT OR DATA USAGE NECESSARY. 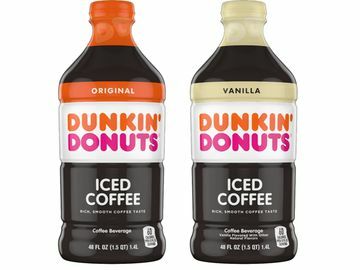 For governing Official Rules, including alternate entry method, www.dunkinpromotions.com. Open to legal U.S. residents, 18 and older. Enter on 6/21/17 between 8:00:00 AM ET and 11:59:59 PM ET. Void where prohibited. Sponsored by Dunkin’ Brands Inc.